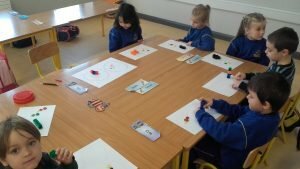 Doctors in Junior Infants – Midleton Educate Together N.S. 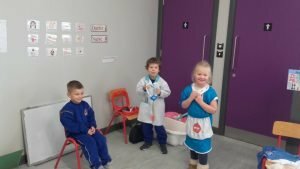 Junior Infants have been learning all about the doctors. 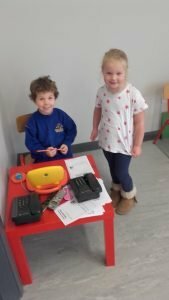 They have learned lots of new words like stethoscope, medicine and injections. 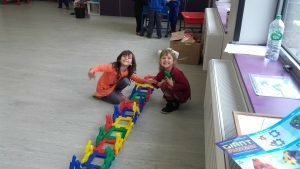 These words really come to life when the children are taking part in Aistear. 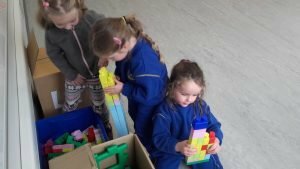 They have spent the past few weeks exploring working in a doctor’s surgery, building or making hospitals and creating yucky medicine form sand! 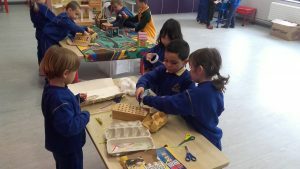 We love going to our Aistear room and letting our imagination and creativity flow. 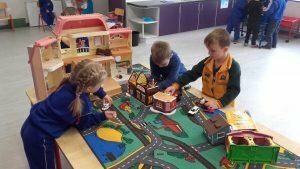 We are all very excited about December’s new theme! 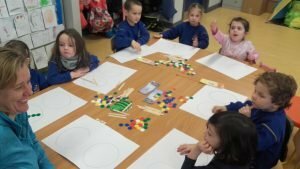 In class, the children have been working hard, especially in maths. Our lovely teachers, Catriona, Jennifer and Joann have come in every day and are teaching us in our groups. 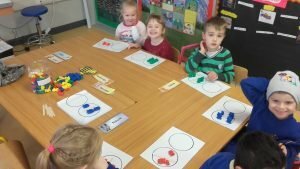 We have learned about patterns, number and compared sets that have ‘more’ and ‘less’ in them.